This is the time of enlightenment, of the last judgment... that means a microcosm becomes a macrocosm. Means a drop becomes the ocean. Then in the whole world you don't know how many brothers and sisters you have. Below please find contact details for sahaja yoga meditation centers around the world. 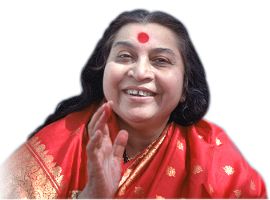 This list is captured from other Sahaja Yoga websites and is put in one place. Sahaja-Yoga offers the absolute truth and it comes absolutely free!! It only requires one's sincere desire and practice, just 10 minutes daily, to enjoy the peace within. If any collective or sahaj project wants to have their web presence, please click-here to contact us. Free meditation classes are provided to schools, hospitals, groups, businesses and organizations in over 80 countries. If your country is not on the list, call the number corresponding to the nearest country to find out about possible local Sahaja Yoga contacts which are not enlisted here.